Getting your air ducts professionally cleaned makes sure that your home’s duct system is working properly and pumping out fresh air. 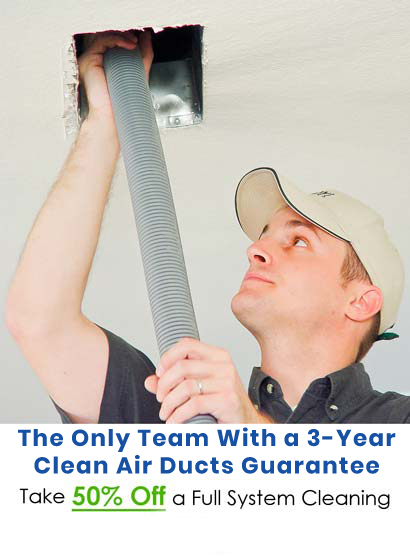 Clean ducts help fight against allergens and asthma as well as helping prevent mold and mildew from growing. KIWI Services in Copper Canyon has professionally cleaned air ducts for 30 years making us the favorite choice for air duct cleaning in Copper Canyon. KIWI’s air duct cleaning team is the best in Copper Canyon. Our technicians are professionally trained in our one of a kind cleaning methods and highly skilled to get your HVAC system perfectly cleaned. KIWI’s industry leading air duct cleaning equipment allows our technicians to get your air ducts looking and feeling great. KIWI’s air duct cleaning solution is environmentally and family-friendly so you don’t have to worry about breathing in harsh chemicals. KIWI has both a vent only cleaning method as well as a full HVAC cleaning method. KIWI wants to always make sure you are 100% happy with your cleaning which is why we offer a 30-day clean guarantee and 2-year guarantee against mold and mildew re-growth. If you should run into any issues, do not hesitate to call us. We will be back out as soon as possible to offer a complimentary re-cleaning.